Whitman College seeks a Sports Information Director to provide management of all sports information and communications needs of the Department of Sport Studies, Recreation and Athletics. Reporting to the Athletic Director, the Sports Information Director has responsibility for all print and electronic publications and for making decisions and judgments critical to presenting athletic programs in ways consistent with the high academic standards and values of the College. • Coordinate a proactive media outreach program to print, radio, TV, and other electronic media outlets for Whitman’s 14 NCAA Division III varsity sport teams. • Maintain and update the content of the Whitman athletics webpage on a daily basis, including team rosters, schedules and statistics, all event results and feature stories/profiles on Whitman student-athletes and coaches. Proactively employ social media to publicize Whitman athletics. 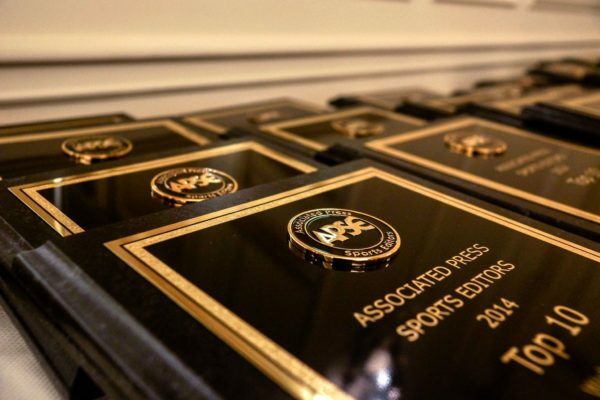 • Oversee production of all sports-related publications for the College, including press notes and for media-attended athletic events, and game-day materials for all sports. • Prepare media releases and feature stories, cover games and conduct interviews, and serve as the primary news media contact for Whitman Athletics; establish and foster relationships with sports reporters and editors of the Walla Walla Union-Bulletin, radio and TV stations in the Walla Walla and Tri-Cities areas, newspapers/media in the Seattle, Spokane, Boise, and Portland markets, and with news media in the hometown areas of Whitman student-athletes. • Respond to requests for Whitman sports information from parents, alumni, and friends of the College, as well as from the news media. • Arrange photo shoots for team photos, media guides, and other College sports publications. • Serve as statistician of record for all varsity sports; train and supervise student staff for in-game operation of statistical programs; provide results and statistical reports as required to the Northwest Conference, NCAA, news media, and opposing schools. • Ensure the College abides by the rules and regulations of the NCAA and the NW Conference. • Supervise athletics department staff members in charge of home game management; direct production of game/event roster handouts. • Actively pursue and execute nomination of Whitman student-athletes for the Academic All-District and Academic All-America programs, and for similar academic honors programs administered by coaching associations. • Keep the Whitman Office of Communications apprised of noteworthy information related to the athletics program, and write updates for the Whitman alumni magazine, as requested. • Provide ongoing publicity and website exposure for intramural and club sport programs. • Maintain all varsity team and student-athlete archives, including photos, statistics, rankings, awards, news releases, etc. • Assist in managing sponsorship relationships involving advertisements in print media. • Serve as a member of the Whitman Athletics Hall of Fame Executive Committee. Conduct historical research as necessary on Hall of Fame nominees and/or selections. • Travel with teams to post-season events and travel to select away events in-season. • Develop and manage the sports information budget. The successful candidate will possess a Bachelor’s and three or more years of experience in a sports information environment, athletic conference office, or related work. General journalism experience is preferred. A strong commitment to the student-athlete concept and a working knowledge of NCAA Division III intercollegiate sports is important. Required: Working knowledge of rules, strategies, principles and method of scoring for soccer, volleyball, cross country, basketball swimming, alpine and Nordic skiing, baseball, tennis and golf; computer skills including Microsoft Office Suite, desk top publishing, web site design and maintenance, social media tools, and statistical scoring software packages; competent photographic skills; ability to oversee student interns and employees; superior organizational capabilities; excellent interpersonal, verbal and written communication skills, including presentation skills, are important. An ability to listen, synthesize information, build relationships with a wide range of people, and influence key stakeholders is essential. A strong work ethic and ability to multi-task are essential. A reputation as a positive team player with a sense of humor, and a personal commitment to collaboration and integrity are highly desirable. All application materials must be submitted electronically via the Whitman College Human Resources Web site at: https://whitmanhr.simplehire.com/. Candidates must provide a letter of application addressing qualifications for this position, a resume, and the names of three professional references with current phone numbers and e-mail addresses. Nominations of prospective candidates will be accepted by Dean Snider, Athletics Director and Associate Professor of SSRA (sniderdc@whitman.edu), who will contact nominees to solicit their candidacy. This position will remain open until filled. Modest relocation support is available. Whitman College is building a diverse academic community and welcomes nominations of and applications from women, members of historically underrepresented minority groups, persons with disabilities, and others who would bring additional dimensions to the College’s learning environment. Whitman is responsive to the needs of dual career couples.